What Do Organizers & Productivity Consultants Do? Professional Organizers and Productivity Consultants help people bring order to their homes, businesses and lives – and we love doing it! We assess our clients’ needs, offer recommendations, implement solutions, and help our clients learn to stay organized. Whatever type of organizing challenge you are facing, there is a NAPO-Los Angeles professional who can help. Our members are part of a 3,500-member strong national association of committed professionals who value continuing education and abide by a Code of Ethics. Start now by searching our Member Directory or read on below for more information about the work we do... Happy organizing! Whether you’re dealing with a household move, overflowing closets, or piles of unsorted paperwork, a residential organizer can help you achieve order and support you in maintaining it. Your professional organizer will help you make the hard decisions about what possessions to keep and what to part with, so everything in your home will have a home, and you can put your things away with ease and find what you need when you need it. Business organizers and productivity specialists will help your company achieve success by minimizing clutter and setting up systems to support your goals. Better organization at work can help you improve your focus and manage your time, so you can spend more of it doing what's most valuable for your business. How do you choose the right organizer for your needs? While some people may need an organizer to help with a particular space, others are looking for an organizer to support them through one of life's many transitions, while still others may want to work with an organizer with special training and certification. The best organizer for you is the one with the skills and personality that meets your needs. If you begin working with an organizer who is not the right fit, let him or her know. Your organizer may be able to recommend a colleague more suited to the project. Certified Professional Organizers (CPOs) have a proven level of industry knowledge and experience and have passed the Board of Certification for Professional Organizers (BCPO®) examination. CPOs maintain their status through adhering to the BCPO Code of Ethics for Certified Professional Organizers® and fulfilling continuing education requirements. See NAPO.net for more information. Once these Certificates are earned these logos can be proudly displayed on your website and marketing materials. If you're a NAPO member and you'd like to earn your certificate see NAPO.net for more information. NAPO’s prestigious Golden Circle was formed in 1990 to recognize the expertise of members who have been engaged in the industry and members of NAPO for at least five years. Golden Circle members are encouraged to use the Golden Circle logo on their websites, social media pages, and marketing materials. For detailed information on rules and requirements, please visit the Golden Circle page on the NAPO National website. NAPO-LA members include specialists trained in working with clients with ADHD, hoarding disorders, and chronic disorganization. If you’re dealing with persistent, long-term disorganization affecting your quality of life, you may want to work with an organizer who has earned certifications through the Institute for Challenging Disorganization (ICD). Those who hold the CPO-CD® (Certificate of Professional Organizing in Chronic Disorganization) have achieved an in-depth level of education and training. 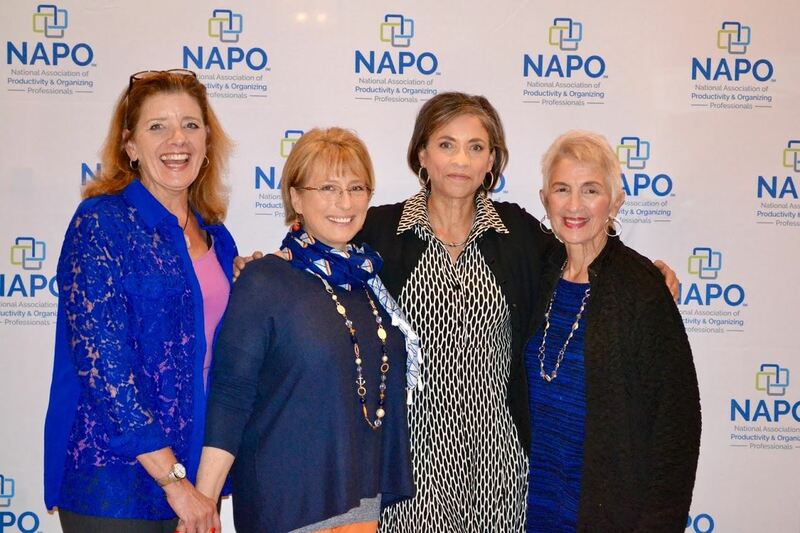 NAPO-LA is the organizing industry leader committed to providing the public with resources, providing professional organizers with education and support, and providing related industry professionals with unique channels for their products and services. I will serve my clients with integrity, competence, and objectivity and will treat them with respect and courtesy. I will keep client information confidential and not use it to benefit myself or my firm, nor will I reveal this information to others. I will decide independently and communicate to my client in advance my fees and expenses and will charge fees and expenses which I deem reasonable, legitimate, and commensurate with my experience, the services I deliver, and the responsibility I accept. Please note that acceptance of the NAPO Code of Ethics is required for all those seeking membership in NAPO, whether National or any Chapter.